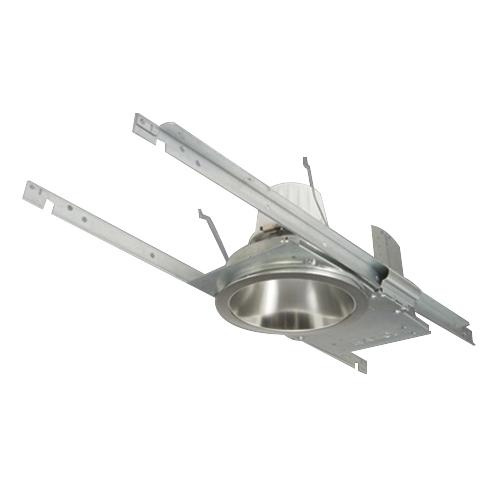 Halo 6-Inch LED downlight housing has 2000-Lumens LED lamp that has voltage rating of 120 - 277-Volts. It measures 26-Inch x 7.5-Inch x 7-Inch. Field adjustable collar accommodates ceiling up to 2-Inch thickness. Preinstalled bar hangers mounts directly to 24-Inch on center tee grids. It provides 0 - 10-Volts and LE/TE phase cut dimming. Housing is cULus listed and RoHS compliant.